This is a guest post that focuses on news articles, but it's important information for the content marketer also. The same strategies are used to create content that first grabs the readers' attention then turns that attention to interest then closes the deal. The simplest way to build a news story is by using the analogy of a pyramid tipped upside down. The broad base is now at the top, and the narrow tip is at the bottom. The top wide section represents the most important facts; the narrow end denotes the least important bits. Why do you want to make your pyramid so top-heavy? · When reading newspapers, nearly all readers scan titles and lead paragraphs to see what will interest them. If your article wanders slowly through the paddocks and across the streets before it even gets to the murder victim in the narrow alley, it is unlikely that many readers will persevere long enough to find out what actually happened. · If your article is too long, it is much easier for the editor to cut from the bottom than to rewrite. This was particularly the case in the 'old days' when individual letters were typeset for printing. There are two parts to the introduction of your news article: The title and first (lead) paragraph. 1 A title gets your reader's attention. Some editors can write very witty and clever titles, although some are so cryptic they urge readers to read the article just to discover what the title means. A strong title is your best drawcard, so work on creating the best one you can. However, I've discovered that editors love to play around with titles, and only a small proportion of the titles I've written have been used. Most have been rewritten. 2 Your lead paragraph has to carry the greatest weight. Who did what, where did it happen and when? What happened to whom, and where? When and where did what happen? 'Just the facts Ma'am' could well be the best little phrase to remember. The main difficulty I personally have is to avoid trying to fit so much into those vital first sentences that they become as wobbly as a knife made of cheese. Deciding what to put in and what to leave out is a skill that has to be learned. How do you know which are the most important facts that should be included first of all? Ask 'What do people most care about?' to help you decide importance. For example, if your story is about the aforesaid murder: is it more important that the victim was a well-known public figure, or that he or she was discovered ten minutes after midnight? Will it help readers to sleep the coming nights (which they definitely do care about) if they learn that the probable culprit was apprehended, or that the murder tool was a knife? The middle of the article may have paragraphs of approximately equal importance, and that is fine. By the end, though, there may be more commentary. There could be quotes, such as by the victim's neighbour stating how much he or she will be missed, or facts about the victim's life that are not as important. Newspaper articles are a very different style than most other types of writing, but their concise nature is a good exercise for writers to learn. 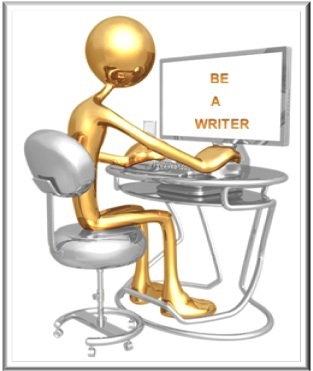 CHECK OUT Become a Content Writing Powerhouse in Just 6 Weeks!